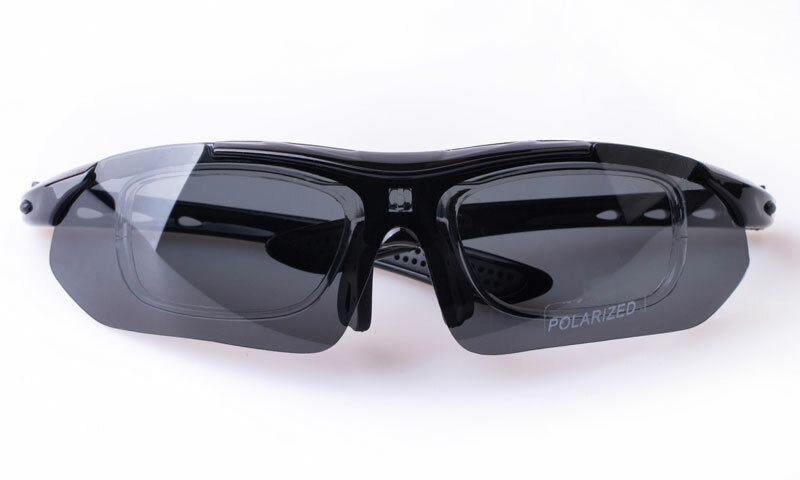 Polarized lenses shield your eyes from glare, improve your vision when driving and make it easier to enjoy outdoor sports or endure harsh indoor lighting. Ultraviolet (UVA and UVB) rays are not the only hazard of bright sunlight. Glare is more than annoying, it limits our vision and makes driving, boating, and other outdoor activities problematic or even dangerous. When light bounces off of a flat surface, it is reflected into horizontal, focused beams we call glare. Normal sunglasses decrease the intensity of all light equally, darkening the whole world, but polarized lenses filter light using microscopic, vertical openings. These dissolve glare back into the normal, defused light our eyes are meant for. The reflected light from oncoming traffic, the rear window of the car ahead of you, and even the street itself all compromise your vision and safety on the road. Driving, biking, or running just before sunset or a little before sunrise can be especially dangerous times for glare. While sun visors and hats help, AAA recommends polarized sunglasses. Glare is at its worst on the water, but polarized lenses turn the harsh, reflective surface into a pleasantly transparent window to the world beneath the waves. This is why fishermen and boaters consider polarized lenses a necessity. Many find polarized lenses are helpful for everyday wear as well, especially those sensitive to light. Indoor lighting can cause as much discomfort as bright sunlight, and even grey days can trigger symptoms for some. Polarized lenses reduce the harsh impact of light on the eye and help combat symptoms, such as headaches and eye pain, while improving vision and productivity. When choosing sunglasses, think of your lenses as a shield. Cover up completely! Look for sunglasses which cover you from eye brows to cheek bones like the Versace VE4260 for women or a pair of men's Ray-Ban RB4147. Likewise, wraparounds or frames with wide temples, such as the Vista Sport XQ100, will project your eyes more completely. Polarized lenses work regardless of tint, so you can choose darker or lighter lenses to suit your style. You can also find them for any prescription. Polarized progressive lenses or bifocal sunglasses are available for the farsighted, and photochromic lenses provide the light-sensitive with proper protection all day long.